Holistic Chiropractic & Wellness and Dr. Bob Seiler, a chiropractic physician, Doctor of Chiropractic, DC, in Salt Lake City, provides state-of-the-art methods of gentle, soothing and non-invasive chiropractic therapies. Dr. Bob, a chiropractic physician, Doctor of Chiropractic, DC, in Salt Lake City, employs a body-mind-holistic healing approach which utilizes the LiteCure deep tissue therapy, the Kennedy spinal decompression system, soothing hand-held percussive therapies, trigger point energy therapy with holistic nutrition. For over 20 years, Dr. Bob Seiler, chiropractic physician, Doctor of Chiropractic, DC in Salt Lake City, has helped thousands of people experience pain relief and enjoy a better quality of life. The LiteCure deep tissue laser therapy has a soothing warm feeling when applied which can relieve your pain instantaneously. Thermal laser therapy lessens swelling, inflammation, pain and bruising in-the-moment. Deep tissue laser therapy reduces free radical cell proliferation which in turn decreases pain, inflammation, swelling. Deep tissue laser therapy also enhances the DNA and RNA synthesis of your body’s cells by using photonic beams of light. Spinal decompression, traction, distraction is a gentle, non-invasive and non-surgical therapy to help alleviate back, leg, disc pain, sciatica, stenosis. It also helps to relieve headaches, neck, shoulder, arm pain and carpal tunnel syndrome. 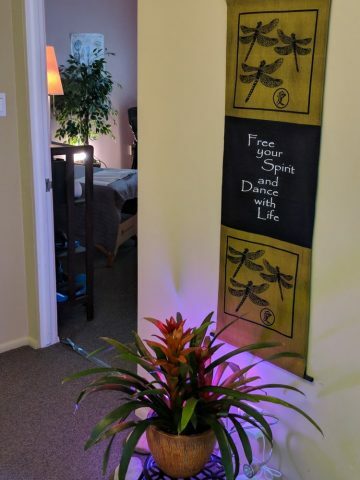 Our downtown holistic chiropractic clinic focuses on a holistic approach of relieving pain and not based upon repetitive office visits. Additional techniques used are intersegmental traction with heat/ice, craniosacral therapy, breathwork, postural awareness and structural re-patterning. Natural and holistic healing is a process and involves making a commitment to your health & well-being. There are no “quick-fixes” when it comes to pain and suffering, but the sooner you begin doing things for yourself, for your body, mind and spirit, the sooner you will be able to have a better quality of life and help to reduce future medical bills and hospitalization.